The Garage Rock Revival of the early millennium was a pretty significant, though somewhat short lived, musical movement that brought back unpolished, barebones sound aesthetics and fell back on age old recording techniques and equipment. Spawning the sudden relevance of a ton of ”The…” bands, The White Stripes remaining at its forefront, the genre reeked of 60s era Nuggets imitators that easily regurgitated elementary chords and shoddily mic’d drum sounds, which really wasn’t a bad thing. For a while, I was happy about it. Despite being faced with a lot of Kinks rip-offs, it was good to hear the basics back on the radio: bands at least SOUNDING like they were thinking less about sugarcoated production and adhering to more of the DIY/raw sounds of 60s Proto/Garage Rock. As far as I was concerned, coming off the tired late-90s wave of undignified Pop Punk (Green Day, Good Charlotte, Blink 182) and Fauxternative bands meant to appease the inner-rock Cookie Monster dwelling within firefighters and police officers everywhere (3 Doors Down, Nickelback, Creed), the Revival meant something was at least happening and a rock consciousness was being rekindled in the vein of a spirit we’ve been dying for since the early 90s. Kinks/MC5/Stooges seminal hybrid. And, though I feel there is legitimacy to his songwriting, Jack White was put on a fairly undeserved pedestal because the Garage aesthetics were so easy to duplicate and deliver. 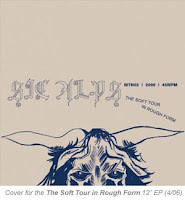 Having lost some steam over the last couple years, though still boasting a generous array of bands firmly entrenched in the minds of Indie/Alternative fans, the Revival unknowingly missed one of its truest artifacts: Sic Alps. 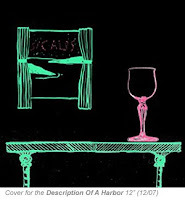 I discovered Sic Alps last year having purchased their 2006 LP, Pleasures & Treasures. Upon first listen, I’ll admit that the album took some time to absorb. But, when it did, the band became a fascination and removed much of the credibility from the mainstream Garage acts in my eyes. A duo hailing from San Francisco, (no doubt an influence to their sound), Sic Alps, singer/guitarist Mike Donovan and drummer/bassist Matthew Hartman, perfectly embody 60s Proto/Garage and incorporate the overtly experimental edge of 80s Alt-Rock while blanketing the mix in a reverb-heavy haze. Reverb is truly the band’s third member. 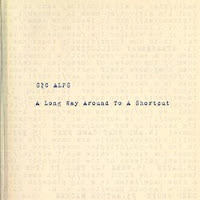 This year, Sic Alps released their discography, transferring their many out-of-print 12s and 7s, to a 26-track CD entitled, A Long Way Around To A Shortcut. And, in addition to a couple other small releases (cassette-only release, one-sided 7”), they also put out a new LP, U.S. EZ. Because the band is so prolific in that “limited edition” kind of way, A Long Way Around To A Shortcut is a blessing. Beginning with then latest LP, Description of the Harbor, Sic Alps exhibit a loose-level King Crimson take on “Moonchild” free jazz (“Description of the Harbor”), Haight-Ashbury acoustic jams (“Who Has Time To Protest? 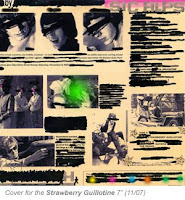 ), and Townshend/Moon-sized rockers (“Hey Sofia”), leading into the more severe Jefferson Airplane acid rock assault of the Strawberry Guillotine 7” and later with “Texas (Is the Right State).” They run the gamut of the 60s Psych book, offering up experimental noise tracks (“Ratroq,” “Social Strats,” and “C’mon Pup”) that somehow make sense in correlation with their love of distortion. The sly and simplistic strum of “Dr. Bag and the Pomade Nature Giants” is as echoing and Garage as it gets, effortlessly achieving the sound and effect that better-known bands desperate to duplicate The Stooges haven’t come close to creating. U.S. EZ, for all its 28 minutes, is their most realized album to date. Beginning with Mike Donovan’s Lou Reed-as-Spicoli inflections over fields of heavy cymabl and bass, “Massive Place” powers through to the broken romance of instrumental “Bric Jaz.” At its most heartfelt, U.S. EZ sounds fractured and shuffles through a constant state of distorted disarray, but it works. Songs like “Sing Song Waitress” and “Everywhere, There” seem so deep in atmosphere that you don’t notice the strange noises enveloping the song. Most of the album sounds unrehearsed, but the spontaneity is fascinating. Even with something like The Who-centric “Bathman,” which exhibits some sturdy rock sections, Donovan and Hartman let the song fall apart into a 1-to-2 rhythm shuffle in a seeming effort to desecrate their own creative heights. Even “Mater,” where most of the song relies on a coherent structure, goes into a slo-mo thud and sort of defeats the more accessible aspects of the song. Through exemplifying solid playing, Sic Alps communicate their actual abilities on top of their willingness to let the music purposely collapse into a sometimes indecipherable mash of static and percussion. How very Rock N’ Roll. 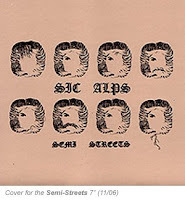 Sic Alps are, to me, an essential Rock entity, having crafted a couple of the best, but mostly unnoticed, Rock albums released this millennium. In the face of the Garage Revival, a movement that boasted a return to the Rock’s Blues and barebones roots, the mainstream branch of the genre is missing what Donovan and Hartman possess: a complete understanding of how it’s done. It takes more than just old equipment and vintage instruments. 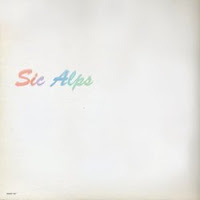 If Sic Alps are ever recognized by Rock history, and I really hope that happens, their catalogue will be regarded with as much respect as The Velvet Underground & Nico, White Light/White Heat, Fun House or Kick Out The Jams. You want the real stuff; look no further and, please, BUY these albums you download-happy fuckers! Who Has Time to Protest?